A visit to China is a visit to another world, with its futuristic architecture alongside memories of the Forbidden City and a maze of side streets bursting with Asian colours and aromas. 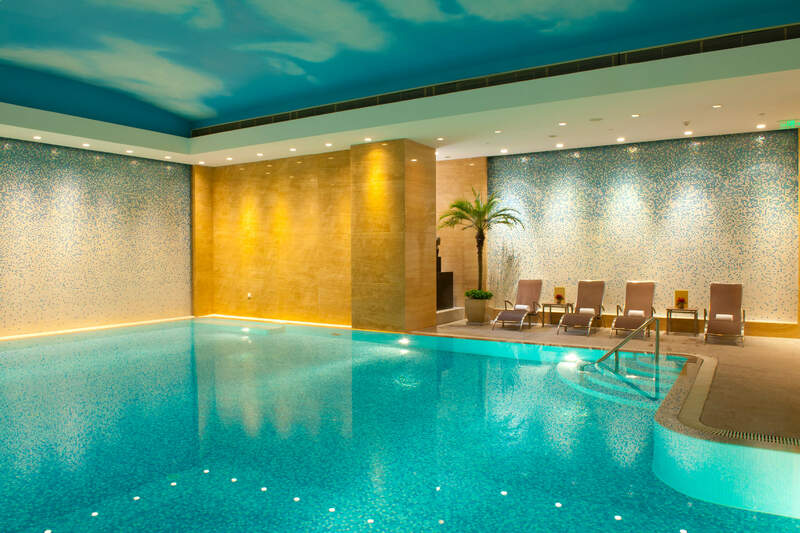 The Fairmont Hotel in Beijing is well-located for both business and pleasure. The guest rooms are a spacious 45m2, with floor-to-ceiling windows, ample desk space featuring integrated PC and wireless keyboard and super-fast Internet. The Signature Suites offer 86 square meters of space, they are designed for you to sleep like an angel floating with sky-high views of the city; bathrooms have fabulous custom-made bath products by La Lebo Rose, 24-carat-gold rain-showers, and enormous bathtubs with high-up skyline vistas; they also boast huge walk-in wardrobes, plus your very own separate lounge area and butler service. The Fairmont Gold executive lounge on the Sky Bridge level serves all you would expect, gourmet breakfasts, afternoon tea, evening cocktails and aperitifs. Cosy meeting rooms and efficient staff make a seamless stay. You can’t help thinking that you could run your business remotely from this hotel. It’s no surprise that The Fairmont Beijing has won awards for everything from Best Executive Lounge, to the best place in town to eat Beijing’s signature dish – the famous Peking duck, an honour indeed. 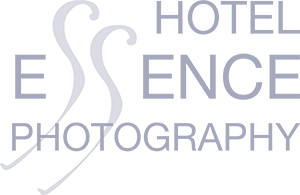 The Willow Stream Spa is situated over three levels of the sky bridge section of the hotel and hosts an indoor pool and a gym with great views to the city. 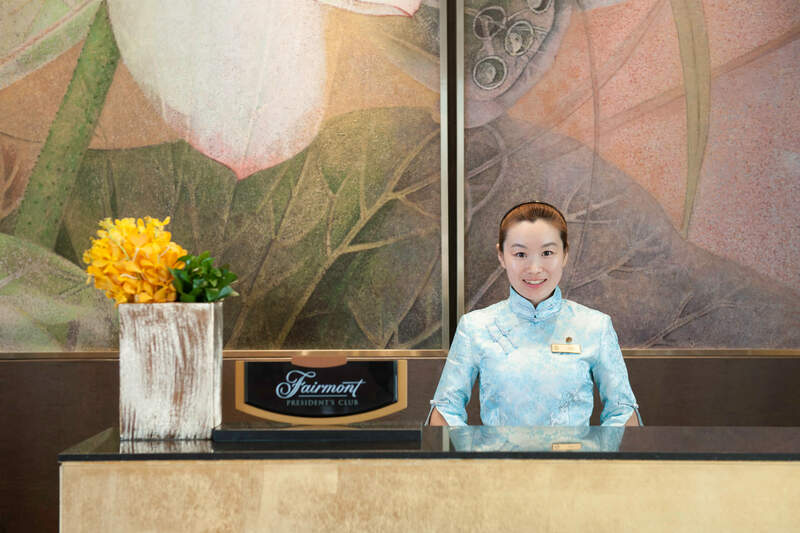 Take a look at the spa menu and you will find everything from Chinese medicinal therapies to colour-based mood-enhancing treatments, and quintessential massages to gently easy away the jet lag. You can also take classes in Tai Chi. 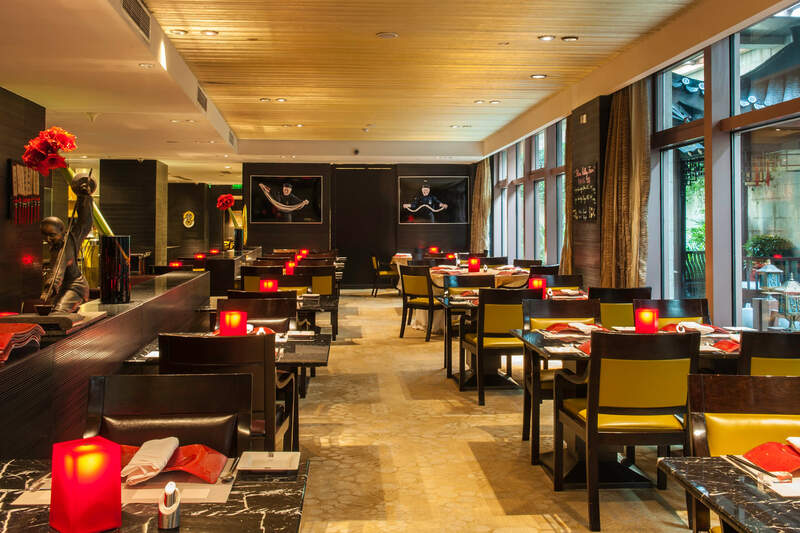 With restaurants serving local Chinese and multiple other cuisines, champagne bars, business centres, executive lounges and a superb spa, you have everything that the modern luxury traveller needs. 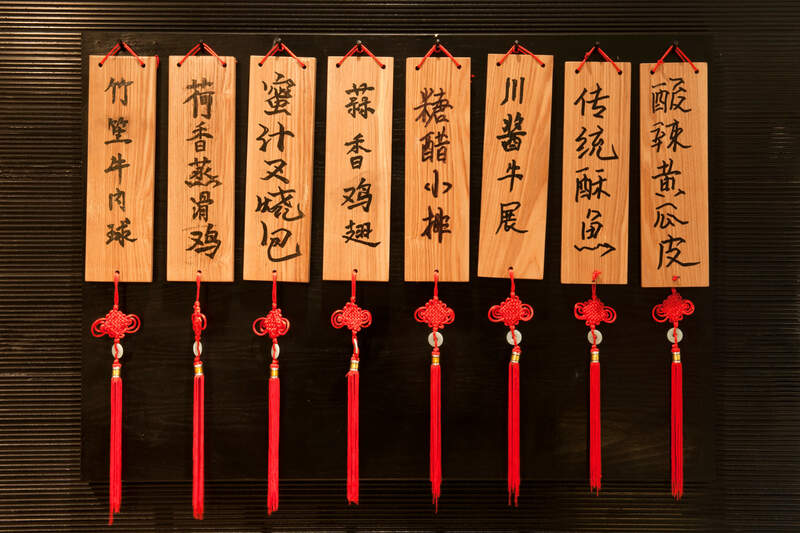 The Fairmont Beijing features one distinctly unusual extra attraction: a museum with the owner’s private collection of antique jewellery – diamonds, sapphires and pearls – alongside priceless artworks. 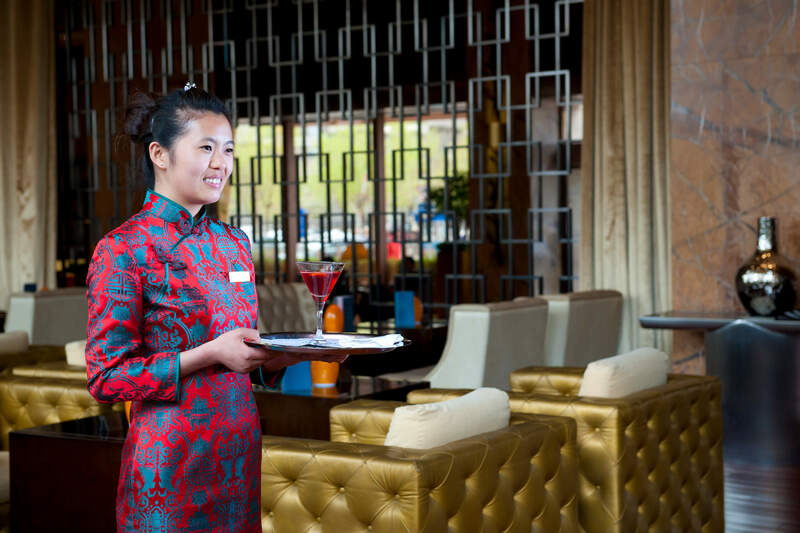 At this hotel, the smiling staff wear the traditional Chinese cheongsam (fitted silk dress), bringing age-old customs into this modern, high-tech hotel. Many of Beijing’s buildings are new and futuristic, and yet the city has an incredibly rich cultural history – here you have everything from a bygone history of imperial dynasties, to dynamic present-day technological growth, and this hotel is perfectly placed to offer the best of both key aspects of the Chinese capital.